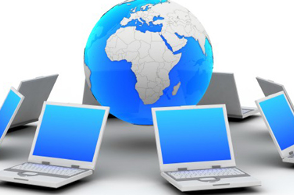 VPN allows you to expand your computer network and add workstations to any where in the world that high speed internet is available. You can remotely control your office computers, or use file secure file sharing to open, backup, modify, and save pictures songs and documents from any remote VPN connected PC location. For example: Your mother has a pc and is always calling you for help. You could log onto it from your computer and control it just as if you are setting in front of it. You could also back up her pictures and documents to your hard drive and vice versa. You could open a word document from your home on your office PC, modify it, save it and print it on your home printer or the office printer for someone else to retreive. You could create new pictures or documents and save them to any computer in the world on your VPN network. Need Support? Get computer support without unhooking your equipment and lugging it to the computer store. Get support from Dean Elliott IT or any person you desire to acccess your system. Feeling sick or can't get a sitter? Easily work on your office computer from home. Single System Access $59.99 per year. 5 system office package starting only $249.00 per year. Free initial setup up to 3 hours.